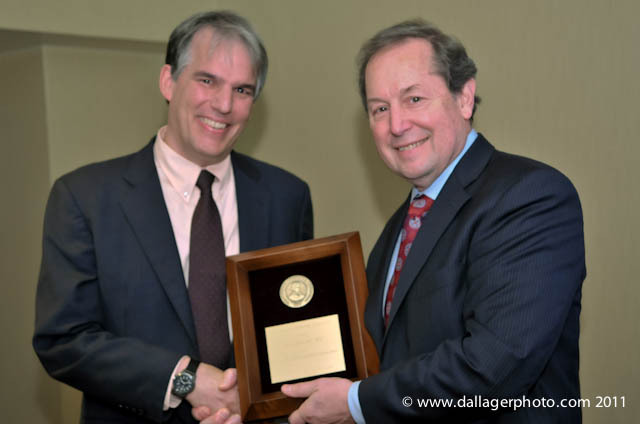 Successful training of the brains of people with schizophrenia in discrete attentional tasks is possible and appears to translate into improvements in quality of living, said Sophia Vinogradov, M.D., winner of APA’s Alexander Gralnick Award (pictured with past APA President and current APA American Psychiatric Foundation Treasurer Richard Harding, M.D.) At APA's Institute on Psychiatric Services in San Francisco, Vinogradov described research showing that computerized games aimed at training the brains of patients in very specific tasks can have effects on multiple interactive systems resulting in changes in global functioning. The finding marks a new direction in what has been called “cognitive remediation.” Further coverage of Vinogradov’s remarks will appear in a future issue of Psychiatric News. 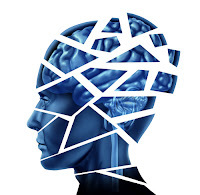 For further information about cognitive remediation, see "Neurocognitive ‘Training’ May Undo Schizophrenia's Brain Damage" and American Psychiatric Publishing's Essentials of Schizophrenia by Jeffrey Lieberman, M.D. More that 1.7 million episodes of agitation occur annually in U.S. emergency departments and are a leading cause of patient suffering and staff injuries, said Garland Holloman, M.D., at APA’s Institute for Psychiatric Services in San Francisco this past weekend. Holloman, director of psychiatric emergency services at the University of Mississippi Medical Center in Jackson, led a 30-person panel of the American Association for Emergency Psychiatry to develop new guidelines for diagnosing and treating agitation. Existing guidelines focus on mainly pharmacological strategies to deal with agitated patients, but other factors, like verbal de-escalation and medical evaluation, should be included as well, he said. That can be a complex process. “Emergency department staff need to use techniques of verbal de-escalation while simultaneously managing physical medical diagnosis and treatment,” said Holloman. “The goal is to help the patient regain control.” Avoiding overmedication of patients and lessening the need for seclusion and restraint can not only reduce injuries to patients and staff but also encourage patients to be more trustful and more cooperative in their treatment, he said. For more information, see Clinical Manual of Emergency Psychiatry, published by American Psychiatric Publishing. The so-called “supercommittee” charged with shaving $1.5 trillion from the federal deficit is considering, among its options, delaying the roll-out of the Affordable Care Act, health economist Richard Frank, Ph.D., said at APA's Institute on Psychiatric Services in San Francisco. Frank, a familiar figure to APA audiences, outlined the progress that has been made in implementing the president’s signature health care reform law, as well as the significant obstacles and challenges it faces. More on the session will be reported in a future issue of Psychiatric News. For information about the health care reform law, see Health Care Reform: A Primer for Psychiatrists, published by American Psychiatric Publishing. Integrating primary medical care and mental health services for psychiatric patients was shown to improve overall medical care, reduce use of the emergency department, and facilitate compliance with psychiatric treatment, according to a presentation APA's Institute on Psychiatric Services now occurring in San Francisco. David Estes, M.D., an internist, discussed his work as a primary care clinician in a colocated Behavioral Health Primary Care Clinic at Kings County Hospital Center in Brooklyn. An in-depth report of the session, part of special track on integrated care, will appear in Psychiatric News. 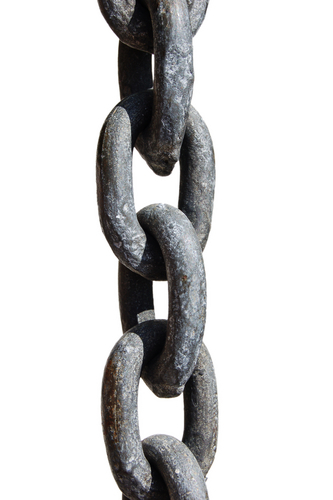 For information on integrated care, see Integrated-Care Movement Rapidly Gaining Momentum. Psychiatrists can be paid for providing mental health services in an integrated primary care-behavioral health setting if they prove to payers that they offer added value in the form of better outcomes, said psychiatrist Roger Kathol, M.D., president of Cartesian Solutions Inc., during a presentation yesterday on “Financing Primary Care Collaboration: What are the Options?” at APA's Institute on Psychiatric Services in San Francisco. Kathol said there was considerable data showing that integrating psychiatric care with primary care does add value, but he noted that only a minority of psychiatrists were aware that integration is the way of the future. The presentation was part of a major Integrated Care Track at the institute. More information on this topic is posted in Psychiatric News. Look for further coverage in future issues. “Recovery is not the absence of symptoms,” said Wilma Townsend, M.S.W., keynote speaker at APA's Institute on Psychiatric Services, in San Francisco yesterday. 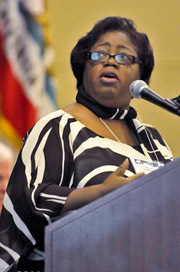 Townsend is a public health analyst at the Center for Mental Health Services in the Consumer Affairs Office of SAMHSA. She is a recognized national consumer leader in the recovery movement and has written two books in this area—Emerging Best Practices in Mental Health Recovery, Eds. 1 and 2 and Consumers in the Mental Health Workforce: A Handbook for Community Providers. Townsend spoke about her own experience in recovery from mental illness and urged psychiatrists at the meeting to involve patients and their families in a treatment plan aimed at full recovery. For more information about recovery, see Psychiatric News. When Does Internet Use Cross the Line From Fun to Trouble? Often problems arise because young people simply don’t appreciate the harm that can befall them or others from indiscreet postings to the electronic cloud. Educating them to that reality, seeking out and treating any underlying psychiatric problems, and working with parents can lessen the effects of problematic electronic behavior, concluded Liwei Hua, M.D., Ph.D., of the University of Michigan. For more information, see Psychiatric News. The dramatically differing culture of primary care and psychiatry is among the most serious barriers to the integration of the two, said Robert McCarron, M.D., of the Department of Psychiatry and Behavioral Sciences at the University of California-Davis. 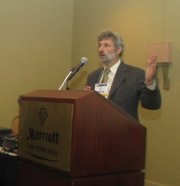 He spoke yesterday on integrated care at APA’s Institute on Psychiatric Services in San Francisco. Close behind is the need to transform the way all physicians are trained. “We can change systems and programs and reimbursement schemes, but if we don’t change the way we train physicians in medical school and residency, we won’t reach the goal,” McCarron said. The presentation was part of a major Primary and Behavioral Health Integration Track at the institute. For more information on integrated care, see Psychiatric News. There is a strong association between soft drinks and violence, say researchers at the University of Vermont’s Department of Economics and the Harvard School of Public Health. 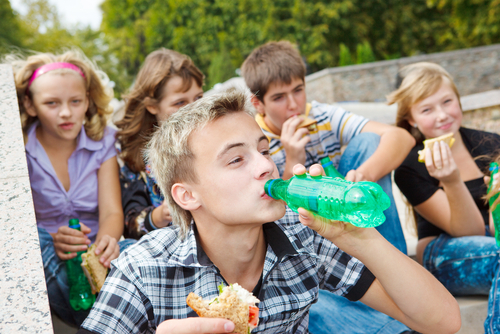 In a survey of Boston public high school students, they found that adolescents who drank more than five cans of soft drinks a week (nearly 30 percent of the sample) were significantly more likely to have carried a weapon and to have been violent with peers, family members, and dates. The researchers say there may be a direct cause-and-effect relationship, perhaps due to the sugar or caffeine content of soft drinks, or there may be other factors that cause both high soft drink consumption and aggression. A group of Brazilian researchers recently reported data suggesting that depressed children consume more caffeinated drinks than nondepressed children, primarily in the form of sugary soft drinks. Read more about it in Psychiatric News. The FDA has reviewed the results from two studies it sponsored evaluating the risk of neuropsychiatric adverse events associated with the smoking cessation drug Chantix (varenicline). The review comes after reports of such cases as that of Sean and Natalie Wain of Economy, Pa. Neither study found a difference in risk of neuropsychiatric hospitalization between Chantix and nicotine replacement therapy (e.g., Nicoderm patches). Although these two studies did not suggest an increased risk of neuropsychiatric events that result in hospitalization, the FDA did not rule out an increased risk of other neuropsychiatric events with Chantix. The FDA is continuing to evaluate the risk of such events with Chantix, and the drug manufacturer is conducting a large safety clinical trial of Chantix, with results expected in 2017. Read about other recent studies in Psychiatric News that point to a use for Chantix in the treatment of schizophrenia. Formal training in parental discipline strategies has proven effective in improving the disruptive behavior of young children at risk for developing attention-deficit/hyperactivity disorder (ADHD), according to a new report from the U.S. Department of Health and Human Services’ Agency for Healthcare Research and Quality (AHRQ). Parent behavior training methods focused on rewards rather than punishment were found to carry little risk for children under age 6 and may offer a better treatment option than medication. Read about other alternative approaches to ADHD treatment in Psychiatric News and the book ADHD Comorbidities, by American Psychiatric Publishing. 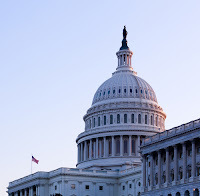 APA is urging members of Congress to reject the Medicare Payment Advisory Commission (MedPAC) proposal to eliminate the sustainable growth rate (SGR) formula by cutting specialist reimbursement 5.9% a year for three years and freezing payment for seven years afterward. In a letter circulated by APA's Department of Government Relations, Medical Director and C.E.O. James H. Scully Jr., M.D., is asking representatives to join Reps. Michael Burgess (R-Texas), a physician, and Gene Green (D-Texas), who are collecting signatures in a statement of opposition, in finding a legislative solution to fix the SGR through avenues other than physician payment cuts. Such cuts would ultimately compromise access to care for the elderly and disabled. To view a recent sign-on letter from APA and other medical groups in response to the MedPAC proposal, click here. Researchers at Northumbria University in Newcastle, England, have found that regular consumption of a fish oil supplement containing the omega-3 fatty acid DHA may prevent cognitive decline and dementia. For the study, which is featured in the online edition of the British Journal of Nutrition, the researchers monitored the mental functioning of a group of individuals aged 18 to 35 who took the supplement for three months. Participants were observed to have increased blood flow to the brain while performing mental tasks. The researchers now plan to assess the impact of DHA-rich supplements on the memory and mental performance of individuals between the ages of 50 and 70. Read about other potential mental health benefits of omega-3 fatty acids in Psychiatric News and the book Complementary and Alternative Treatments in Mental Health Care, by American Psychiatric Publishing. More than a quarter of school-age children have been exposed to physical violence between their parents, according to the University of New Hampshire Crimes Against Children Research Center. And although exposure to parental violence may take many forms, 90 percent of children were direct eyewitnesses to at least one violent incident. The study involved interviews with caregivers and youth about the experiences of a nationally representative sample of 4,549 children under the age of 17. A report from the Centers for Disease Control and Prevention released earlier this year found an increased level of family violence among both bullied students and their tormentors. Read more about this issue in Psychiatric News and Preventing Bullying and School Violence, available from American Psychiatric Publishing. Some people with psychotic disorders are recovering from their illness, living full lives with jobs and families, according to a report in The New York Times today. The article tells the story of a chief executive officer of a nonprofit company who lives with schizoaffective disorder and reports on an ongoing study sponsored by UCLA, USC, and the Department of Veterans Affairs that is following the lives of individuals who are living successfully with major mental disorders. For more information on recovery from schizophrenia, see Psychiatric News and Essentials of Schizophrenia, written by Jeffrey Lieberman, M.D., and published by American Psychiatric Publishing. The estimated economic cost of excessive alcohol drinking was $223.5 billion in 2006, according to the November American Journal of Preventive Medicine. Seventy-two percent of this cost came from lost productivity, 11 percent from health care costs, 9 percent from criminal justice costs, and the rest from other causes. 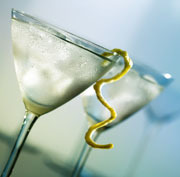 Excessive alcohol consumption not only costs money, of course, but takes its toll on people's health. And one way to reduce excessive alcohol consumption is for scientists to determine why people drink so they can prevent or treat it. For example, scientists recently found, in rodents, that a particular gene called hPer 1 regulates alcohol drinking behavior during stressful conditions. See the October American Journal of Psychiatry for more information. One in 10 Americans is using antidepressants--a 400 percent increase during the past 15 years, according to a new report from the CDC's National Center for Health Statistics. Further, women, especially middle-aged women, are 2.5 times more likely to be on antidepressants than men. Because of this widespread use, any potentially negative side effects from long-term antidepressant use need to be identified and discussed with patients. A good source of information is What Your Patients Need to Know About Psychiatric Medications, Second Edition, published by American Psychiatric Publishing. 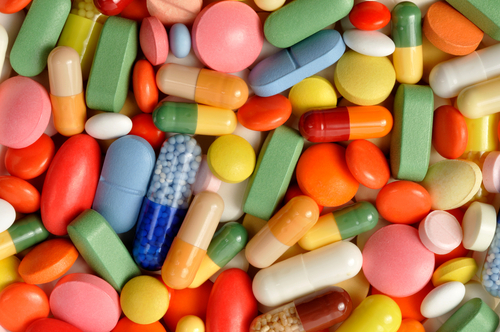 The New York State Office of Mental Health (NYSOMH) successfully lowered the amount of antipsychotic polypharmacy in NYSOMH psychiatric hospitals using a series of interventions that included a Web-based quality improvement application. The effort is described in the study “Best Practices: Long-Term Impact of Web-Based Tools, Leadership Feedback, and Policies on Inpatient Antipsychotic Polypharmacy” in the October Journal of Psychiatric Services. For coverage of the study, see the next edition of Psychiatric News. And for further coverage of the issue of polypharmacy, see http://pn.psychiatryonline.org/content/41/6/31.full. Missing out on what happens at school is just one more price that children who live with smokers have to pay. 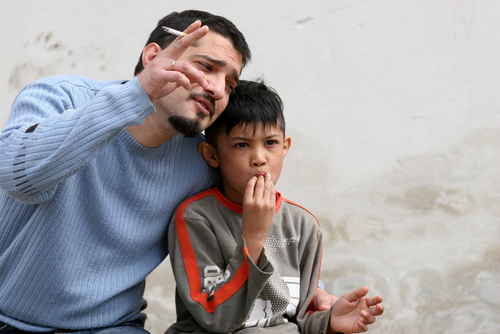 In a study funded by the National Institutes of Health (NIH) and published in the October Pediatrics, a group of Boston-based researchers have concluded that tobacco smoke exposure has significant consequences for children and families above and beyond child morbidity, including academic disadvantage and financial burden. Absenteeism among children aged 6 to 11 years living with smokers could be reduced 24 to 34 percent by eliminating smoking in their homes. Caregivers’ lost wages and time due to child absenteeism was valued at $227 million a year. 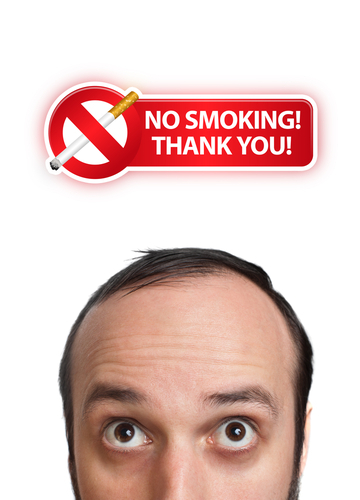 Another good reason to quit smoking? Nicotine dependence has emerged as a risk factor for suicide attempts. Read about it in Psychiatric News. Also see Nicotine in Psychiatry: Psychopathology and Emerging Therapeutics from American Psychiatric Publishing. 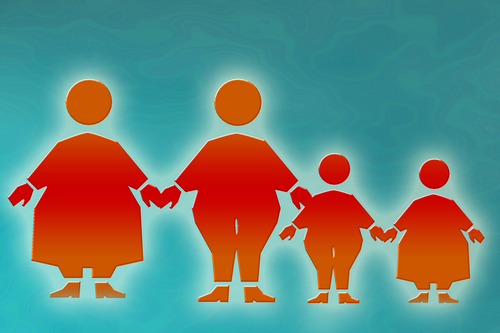 Gastric bypass surgery may be good for the whole family. Researchers at Stanford University found in a recent study that 60 percent of adult family members and 73 percent of children of patients who underwent a Roux-en-Y gastric bypass surgery (RNYGB) were also obese. 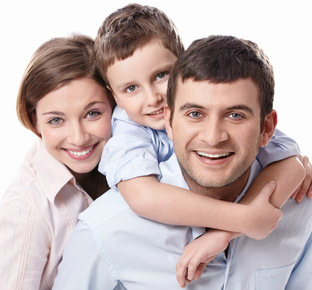 But 12 months after the operation, those obese adult family members had experienced a significant weight loss. Children, whose weight changes required a different analysis to take into account their natural growth, had a lower body mass index for their growth curve. Family members increased their daily activity levels and had improved eating habits, and the adults decreased their alcohol consumption. Patients undergoing gastric bypass surgery experience significant improvement in their quality of life and a high level of patient satisfaction. Read more about it in Psychiatric News. The American Academy of Pediatrics (AAP) recommends that pediatricians "urge parents to avoid television viewing for children under the age of 2 years.” There are more potential negative effects of watching media than positive ones for this age group, said the AAP in an online statement in its journal, Pediatrics. 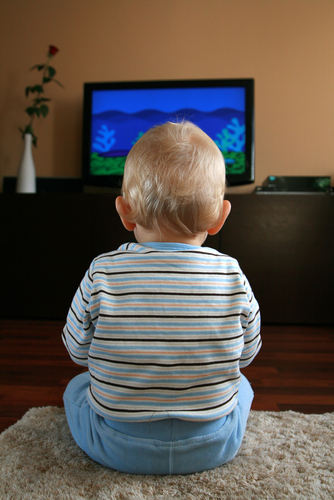 Infant videos that purport to improve babies’ language or other skills do nothing of the kind. Unstructured playtime does more to develop a child’s brain than any electronic media exposure. So parents should either play with their children or stay nearby as the child plays alone. “Solo play allows a child to think creatively, problem solve, and accomplish tasks with minimal parent interaction,” said the AAP. For more on childhood development and media, see Psychiatric News and the American Psychiatric Publishing book, Infant and Early Childhood Mental Health. Scientists have known for years that the children of older fathers have a greater risk of developing schizophrenia than children of younger fathers. Now researchers led by Christina Hultman, Ph.D., of the Karolinska Institutet in Stockholm have confirmed that finding and added to it: the same effect was seen in children whose maternal (but not paternal) grandfathers were over 55. That suggests that a mechanism involving the X-chromosome (women have two X-chromosomes, men have one X- and one Y-chromosome) may have some relationship with the link between a father’s age and the child’s risk of schizophrenia. For more about risk factors and schizophrenia, see Psychiatric News. The Centers for Medicare and Medicaid Services (CMS) announced on Friday the addition of annual depression and alcohol screenings to Medicare’s existing package of preventive services. Depression screenings are now available in primary care settings that have the staff resources to follow up with appropriate treatment and referrals. And the new alcohol misuse benefit includes four primary-care-based behavioral counseling sessions per year for those beneficiaries screening positive. APA played a key role in the adoption of these new benefits and commends CMS for the decision to expand its coverage. Read more about the annual screenings and APA’s recommendations for their implementation in Psychiatric News. 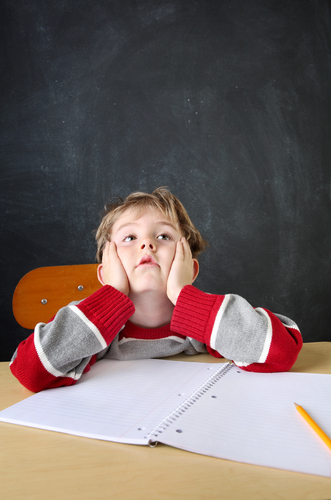 Nearly 45 percent of parents of children with attention-deficit/hyperactivity disorder (ADHD) report that their child is dissatisfied with school life, according to the results of a new survey of more than 2,500 people. Conducted by the ADHD Awareness Coalition in advance of ADHD Awareness Week, which is being observed this week, the survey also found that 60 percent of adult participants lost or changed a job due to the symptoms of the mental illness that affects a total of more than 13 million Americans. And many adults and children with ADHD have also been diagnosed with anxiety, depression, and/or sleep disorders. APA’s HealthyMinds.org Web site provides additional facts about ADHD prevalence and symptomatology, including an informative brochure and a special feature on ADHD in athletes. To learn more about ADHD research and treatment, also see Psychiatric News. The highest risk of suicide in men with mental illness is found in those with bipolar disorder, and the highest risk of suicide in women with mental illness is found in those with schizophrenia, according to a Danish study published in the October Archives of General Psychiatry. However, according to a study in the December 2010 American Journal of Public Health, 60 percent of suicide attempts can be attributed to major depressive disorder, borderline personality disorder, nicotine dependence, and posttraumatic stress disorder. Thus, despite findings of the newly published study, not just bipolar disorder and schizophrenia, but multiple mental illnesses, can contribute to suicidal behavior. More information about this study can be found in Psychiatric News at http://pn.psychiatryonline.org/content/46/3/16.2.full. 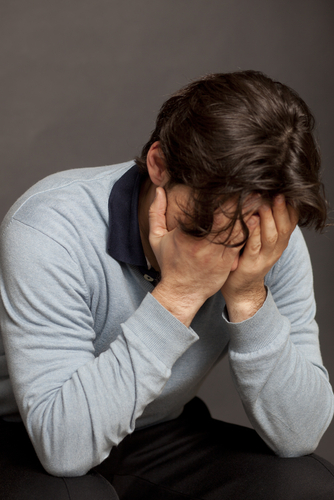 To learn more about potential risk factors related to suicide, see Psychiatric News at http://pn.psychiatryonline.org/content/46/17/24.1.full and http://pn.psychiatryonline.org/content/46/12/31.1.full. In addition, American Psychiatric Publishing offers a new book for psychiatrists titled Preventing Patient Suicide: Clinical Assessment and Management, which provides clinicians with the latest knowledge in this area. Write down every food you consume. Eat breakfast every day. Weigh yourself regularly. Count both calories and grams of fat. These are the keys to long-term maintenance of weight loss, according to the latest report from the Look AHEAD (Action for Health in Diabetes) study. Researchers at the University of Pennsylvania School of Medicine published a four-year update of the study in the October Obesity. The trial has enrolled 5,145 obese patients with type 2 diabetes who will be followed for up to 11.5 years. “These results provide critical evidence that a comprehensive lifestyle intervention can induce clinically significant weight loss (5 percent or more) in overweight/obese participants with type 2 diabetes and maintain this loss in more than 45 percent of patients at four years,” said the researchers. 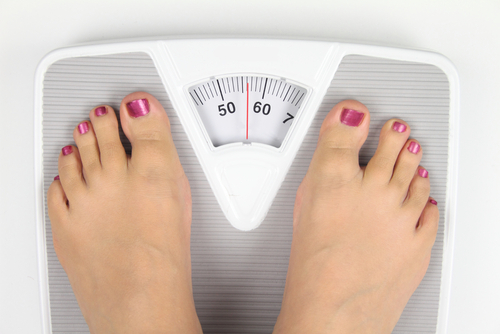 For more on weight-loss maintenance, read The Gravity of Weight: A Clinical Guide to Weight Loss and Maintenance, available from American Psychiatric Publishing. Mood and anxiety disorders are associated with obesity, but the obesity may be the result of the psychotropic medications used to treat mental health disorders. Read more in Psychiatric News. Need one more reason to lurk on your teenager’s Facebook page? It may tell you if he or she has a problem with alcohol. Researchers at the University of Washington and Seattle Children’s Research Institute reported in the October 3 online Archives of Pediatric and Adolescent Medicine the results of a survey that examined associations between displayed alcohol use and intoxication/problem drinking (I/PD) references on Facebook and self-reported problem drinking. The study included undergraduate students at two state universities who had public Facebook profiles. The researchers found that displayed references to I/PD were positively associated with scores suggesting problem drinking as well as alcohol-related injury, and said their results suggest that clinical criteria for problem drinking can be applied to Facebook alcohol references. To read about how early-life adversity and one particular gene variation can predispose teens to hazardous drinking, see Psychiatric News at http://pn.psychiatryonline.org/content/46/7/16.1.full. The congressional "supercommittee" charged with coming up with major reductions in the huge U.S. budget deficit is considering proposals to prevent a steep pay cut scheduled for next year for physicians who participate in the Medicare program. The bipartisan panel that has been tasked with finding at least $1.2 trillion in budget savings over 10 years has a "strong interest" in taking up the doctor-payment issue, according to a report released today from the Reuters news service, though the congressional sources cited in the report acknowledged that reducing or eliminating the scheduled payment cut will make the task of finding that $1.2 trillion in savings considerably harder. For recent coverage of the supercommittee and its possible impact on federal health programs, see Psychiatric News at http://pn.psychiatryonline.org/content/46/16/1.2.full. For extensive coverage of issues concerning assessment and interventions for first-episode psychosis, see Psychiatric News at http://pn.psychiatryonline.org/content/43/18/20.1.full. More information on diagnosis and treatment of psychosis can be found in the book “Essentials of Schizophrenia,” issued by American Psychiatric Publishing. Information on this new book is posted at www.appi.org/SearchCenter/Pages/SearchDetail.aspx?ItemId=62401. 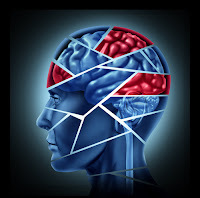 Cognitive rehabilitation therapy (CRT) may be useful for treating traumatic brain injury (TBI), but overall there is insufficient evidence to develop definitive guidelines on applying these therapies or to determine which type of CRT will work best for a particular patient, says a new report from the Institute of Medicine (IOM). 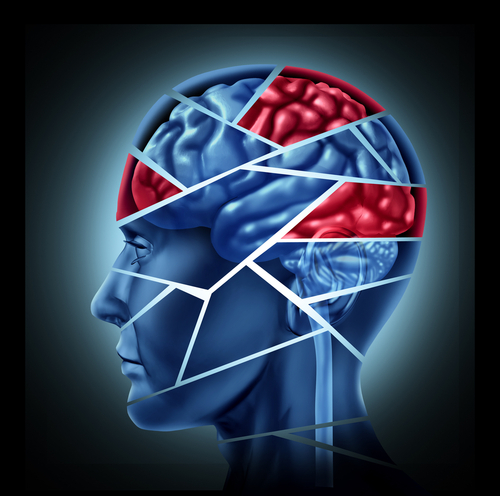 Millions of people in the U.S., from auto-crash victims to veterans of war, live with the aftereffects of TBI. The Department of Defense asked the IOM to study the effectiveness of cognitive rehabilitation therapy for treatment of TBI. 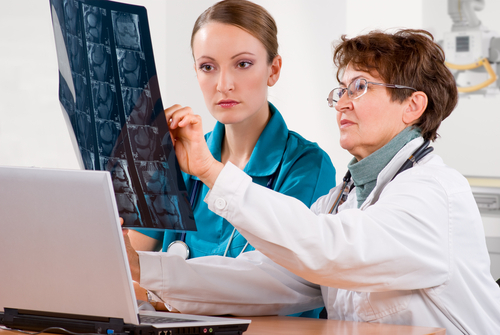 CRT is a patient-specific, goal-oriented approach to help patients increase their ability to process and interpret information. The IOM committee supported the use of CRT for people suffering from TBI but said that methodological shortcomings in the studies and challenges in studying the use of CRT in this patient population limited the evidence underlying its use. Many of those studies have concentrated on rates of posttraumatic stress disorder (PTSD) among disaster survivors, but PTSD is not the only psychological effect of trauma. There were also significant rates of depression (about 10 percent) among exposed populations in New York after September 11, although that finding received less attention than those about PTSD. “Knowing what to expect from disaster—how much depression, PTSD, cardiovascular disease, cancer—is important for thinking about and planning for the next disaster,” said Galea. And for an in-depth review of disaster mental health issues, see American Psychiatric Publishing's Disaster Psychiatry: Readiness, Evaluation, and Treatment at www.appi.org/SearchCenter/Pages/SearchDetail.aspx?ItemId=7217. The number of people diagnosed with attention-deficit/hyperactivity disorder (ADHD) has risen dramatically in the United States over the last decade and has to be considered a serious public-health issue, says the federal Substance Abuse and Mental Health Services Administration (SAMHSA). The disorder is, however, beset by considerable misunderstanding among the public about how to treat it and what may cause it. Thus ADHD Awareness Week, which runs from October 16 to 22 this year, becomes an ever-more-important opportunity for psychiatrists, mental health professionals, educators, and parents to educate people about the fact that ADHD is real, diagnosing it is complex, it is nobody's fault, and multifaceted treatments are available that have demonstrated success in combatting many of the disorder's troubling symptoms. You can read extensive coverage of developments in understanding and treating ADHD in Psychiatric News at http://pn.psychiatryonline.org/content/46/12/19.full and http://pn.psychiatryonline.org/content/46/15/24.2.full. Also, read a psychiatrist's account of dealing with her own children's ADHD at http://pn.psychiatryonline.org/content/46/2/8.1.full. To read more about this study and other developments in the treatment and understanding of BPD, see Psychiatric News at http://pn.psychiatryonline.org/content/46/19/19.1.full and http://pn.psychiatryonline.org/content/46/9/8.1.full. The Institute of Medicine (IOM) is urging the government in a report released Thursday to consider cost as a key factor when it determines what an essential health benefit package looks like in insurance plans offered under the new health reform law. In the report, "Essential Health Benefits: Balancing Coverage and Cost," the IOM offers seven criteria for determining a benefit package. It says in the aggregate a benefit package must: be affordable; maximize the number of people with insurance; protect the most vulnerable; encourage better care practices; advance stewardship of resources; address the medical concerns of greatest importance; and protect against the greatest financial risks. A danger of this approach is that benefits packages could be modeled on those offered by smaller employers, who often provide more limited mental health coverage than large companies do. APA has a guide to key aspects of the health reform law titled "Health Care Reform: A Primer for Psychiatrists," which is posted at www.appi.org/SiteCollectionDocuments/Journals/PSY/HealthCareReform.pdf. Hawaii and South Dakota have the lowest rate of serious mental illness, while Rhode Island has the highest. The national rate of serious mental illness is 4.6 percent. That’s according to findings from the Substance Abuse and Mental Health Services Administration’s (SAMHSA) 2008 and 2009 National Surveys on Drug Use and Health (NSDUH), released yesterday. The NSDUH Report presented state-level estimates of serious mental illness based on data collected from 92,233 adults aged 18 or older and estimates of any mental illness based on data from 68,936 adults aged 18 or older. SAMHSA defines mental illness based on diagnostic criteria in DSM-IV. Among adults with a disorder, those whose disorder caused substantial functional impairment are defined as having serious mental illness and the most urgent need for treatment. 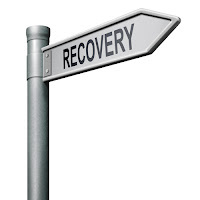 “Information on the prevalence of mental illness is critically needed to help guide the provision of effective treatment and prevention programs to restore lives and to reduce economic and societal costs,” said SAMHSA. The NSDUH report is available at www.samhsa.gov/newsroom/advisories/1110055020.aspx. To read about recent findings from the NSDUH survey on substance abuse trends, see Psychiatric News at http://pn.psychiatryonline.org/content/44/20/4.1.full. Some Medicare beneficiaries are getting more than their share of frequently abused controlled substances. Gregory Kurtz, an investigator with the Government Accountability Office (GAO), testified earlier this week before a Senate subcommittee about the details of last month’s GAO report of an investigation of instances of questionable access to prescription drugs. The GAO found indications of "doctor shopping" in the Medicare Part D program for 14 categories of frequently abused prescription drugs. About 170,000 beneficiaries acquired the same class of frequently abused drugs, primarily hydrocodone and oxycodone, from five or more medical practitioners during 2008 at a cost of about $148 million. About 120,000 of these beneficiaries were eligible for Medicare Part D because of a disability. One beneficiary in Georgia received prescriptions for 3,655 oxycodone pills (a 1,679 day supply) written by 58 prescribers, and the GAO had other similar examples. To read Kutz’s testimony and the GAO's recommendations, go to http://hsgac.senate.gov/public/index.cfm?FuseAction=Hearings.Hearing&Hearing_id=8c9b7242-4770-457b-a41c-c0f6c7d67f9f. To learn more about Medicare Part D, see Psychiatric News at http://pn.psychiatryonline.org/content/46/18/6.2.full. APA, along with the AMA and some 40 other medical organizations, is urging the Medicare Payment Advisory Committee (MedPAC) to revise its proposals for reforming the “sustainable growth rate” (SGR) component of Medicare's formula for determining physician reimbursement for treating Medicare patients. In September, MedPAC agreed to proposals for reforming the SGR, but APA and the other groups say the advisory committee did not go far enough. “[W]e cannot support this plan in its present form because it retains many of the SGR’s flaws, undermines physicians’ ability to participate in payment and delivery reforms, and calls for payment rates that the Commission itself has previously said could reduce Medicare beneficiaries’ access to medical care,” the letter states. 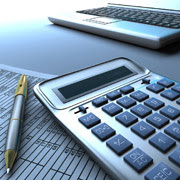 For coverage about the SGR and Medicare payment issues, see Psychiatric News at http://pn.psychiatryonline.org/content/46/8/6.2.full, http://pn.psychiatryonline.org/content/40/17/5.1.full, and http://pn.psychiatryonline.org/content/42/24/4.1.full. To read the letter to MedPAC about the SGR see www.psych.org/MainMenu/AdvocacyGovernmentRelations/GovernmentRelations/Letter-to-MedPAC-Oppose.aspx?FT=.pdf. A study of rural users of cocaine and methamphetamine found that most received no substance abuse or other mental health treatment during a three-year follow-up. 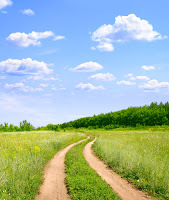 Geoffrey Curran, Ph.D., of the Department of Psychiatry at the University of Arkansas for Medical Science, and colleagues followed 710 stimulant users from rural parts of Arkansas, Kentucky, and Ohio. Participants were asked about treatment use at the study’s start and again at six-month intervals for three years. At the three-year mark, “[a] majority of participants who completed all seven interviews were most likely to receive no substance abuse or mental health services while they participated in the study.” Those who did seek treatment were more likely to use mental health than specialized substance abuse services. The study appears in the October issue of Psychiatric Services and can be read at http://ps.psychiatryonline.org/cgi/content/full/62/10/1230. For an in-depth review of the latest knowledge in treating abuse of cocaine and methamphetamine, see the new book from American Psychiatric Publishing, Cocaine and Methamphetamine Dependence: Advances in Treatment. Information on the book is posted at www.appi.org/SearchCenter/Pages/SearchDetail.aspx?ItemId=62407. The Wall Street Journal reports that “inhalation of the hormone oxytocin may benefit patients with autism or schizophrenia . . . [by improving] social interactions among these patients because it helps them pick up on the emotions of other people.” Extensive research among rodents called prairie voles on the role of oxytocin in social relations led to work in humans. For example, studies using intranasal oxytocin in patients with autism spectrum disorders produced improvements in trusting or recognizing emotions in others. Other research in small groups of patients and controls has suggested that oxytocin produced in the body may reduce the severity of some symptoms of schizophrenia. All this work, while intriguing, should be considered preliminary because the safety and efficacy of long-term oxytocin use in humans is unknown. For more about the role of oxytocin in human behavior, see Psychiatric News at http://pn.psychiatryonline.org/content/46/7/16.2.full and http://pn.psychiatryonline.org/content/46/3/17.2.full. Physicians, social workers, and nurses working for the Department of Veterans Affairs (VA) are expressing concern that the agency has inadequate staff to address the surge in demand for mental health care from troops who have experienced combat, according a Washington Post story on October 4 based on results of a survey obtained by the paper. More than a third of respondents, for example, said it takes more than the VA-mandated time frame of 14 days for them to schedule an appointment for a new patient, a delay that could raise the risk of suicide among these former troops, many of whom suffer from posttraumatic stress disorder or depression. The VA responded that its data show such delays are not common, but that it "is working to better understand where service gaps exist." The VA has hired mroe than 3,500 mental health professionals in recent years. "It is not acceptable to have veterans, who have stepped up and shown the courage to ask for help, be denied that care," Sen. Patty Murray, chair of the Senate Committee on Veterans Affairs, told the Post. 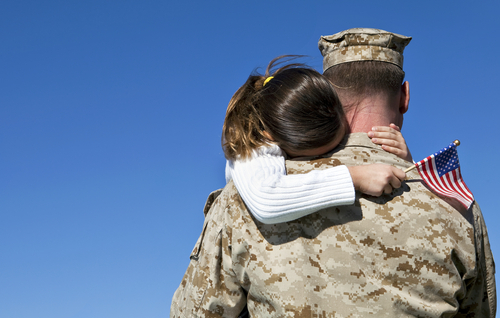 To read more about mental health issues of current and former U.S. troops, see Psychiatric News at http://pn.psychiatryonline.org/content/46/14/20.2full and http://pn.psychiatryonline.org/content/46/7/4.1.full. APA has joined with organizations representing almost every medical specialty in calling on the congressional budget-cutting "supercommitee" to protect graduate medical education (GME) funding that comes through the Medicare program. Coalition members sent a letter to committee members October 3 saying that they "are gravely concerned that reductions in Medicare's support for GME potentially worsen an already problematic national physician workforce shortage." That shortage is expected to soar to 91,500 in 2020 because of an imminent wave of physician retirements and rapid aging of the U.S. population. The current cap on GME funding is already preventing teaching hospitals from expanding training positions and prevents new hospitals from establishing teaching programs, the coalition emphasized. "Ensuring access for Medicare beneficiaries requires long-term and rational physician payment reforms, as well as an adequate supply of physicians to care for an aging nation," the letter states. 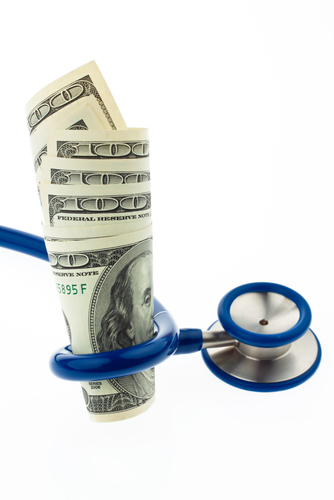 Read more about how the budget crisis may affect Medicare's funding of graduate medical education and payment for physician services in Psychiatric News at http://pn.psychiatryonline.org/content/46/16/1.2.full. "Since telepsychiatry was introduced decades ago, video conferencing has been an increasingly accepted way to reach patients in hospitals, prisons, veterans' health care facilities, and rural clinics," the New York Times reported on September 25. 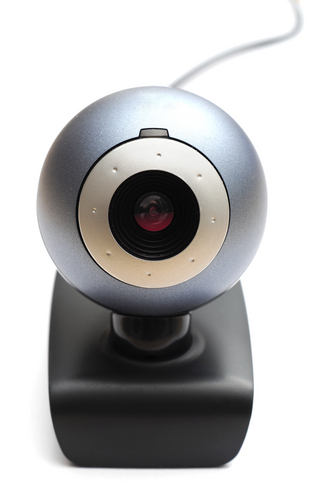 Several innovative telepsychiatry operations have been launched during the past few years. For example, it's being used to conduct psychiatric interviews in prisons in New York State. A University of Colorado telepsychiatry program serves American Indians in several surrounding states. A private-practice psychiatrist in Missouri uses telepsychiatry to diagnose and treat patients in rural Arizona. A Mississippi psychiatrist has launched telepsychiatry in one of the poorest areas of America. And in Canada, telepsychiatry is being used to serve patients in such far-flung places as Newfoundland and the Northwest Territories. More information about telepsychiatry programs can be found in Psychiatric News at http://pn.psychiatryonline.org/content/39/12/4.full; http://pn.psychiatryonline.org/content/43/13/4.1.full; http://pn.psychiatryonline.org/content/44/19/14.full, and http://pn.psychiatryonline.org/content/38/23/11.full. Having type-2 diabetes can double people's risk of getting Alzheimer's disease. This finding, widely covered in the lay media, comes from a report in the journal Neurology. For 11 years, Japanese researchers followed more than 1,000 people aged 60 or older. Those with diabetes at the outset were 35 percent more likely to develop Alzheimer's than those without diabetes; those with the most severe diabetes had more than triple the risk. Diabetes, however, is only one in a growing list of possible Alzheimer's risk factors. Having the e4 variant of the APOE gene is another. Moreover, having the e4 variant plus living in a hazardous neighborhood might predispose people to Alzheimer's even more than just having the APOE e4 variant, preliminary data suggest. Read more on this topic in Psychiatric News at http://pn.psychiatryonline.org/content/46/8/27.full. 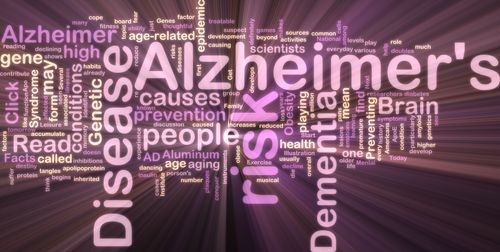 For more information on Alzheimer's risk factors in general, see The American Psychiatric Publishing Textbook of Alzheimer's Disease and Other Dementias. Purchasing information is posted at http://www.appi.org/SearchCenter/Pages/SearchDetail.aspx?ItemId=62278.